The Hon. Frankie Alfred Campbell was born July 1st, 1967 in Nassau Bahamas, to Edwin Campbell and Vanie Blanc. 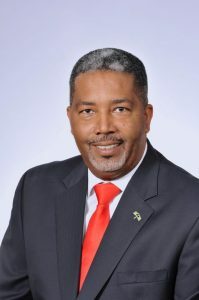 Minister Campbell is married to Kathryn Forbes-Campbell and he is the proud father of four. Education: Minister Campbell’s early education began at R.M. Bailey High School. He later obtained a Bachelors of Science Degree from McHari International College and as well achieved a Law Degree LLB. 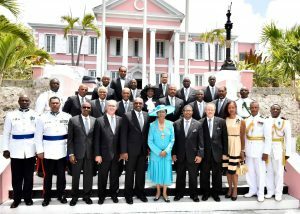 Professional Career: Minister Campbell dedicated 29 years of service to the Royal Bahamas Police Force. He achieved the rank of Sergeant and received a Medal for long service and Good Conduct in 2009. During his tenure he also served as the Executive Chairman of the RBPF Staff Association. In 2010 he accepted a three year Diplomatic Assignment in Port Au Prince Haiti, as Charge D’affaires at The Bahamian Embassy. Civic and Community: Minister Campbell observes the Anglican Christian faith and he has an exemplary record of community service. He served on the Bahamas Plays and Films Control Board, was a member of the Bahamas Mental Health Association, and he partnered with the Bahamas AIDS Secretariat in HIV/AIDS awareness. He is a practicing Free Mason and made history as the first non-American President General, General Grand Masonic Congress. 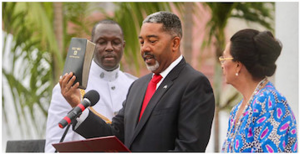 Political: Minister Campbell was sworn in as Minister of Transport and Local Government on May 15th, 2017. 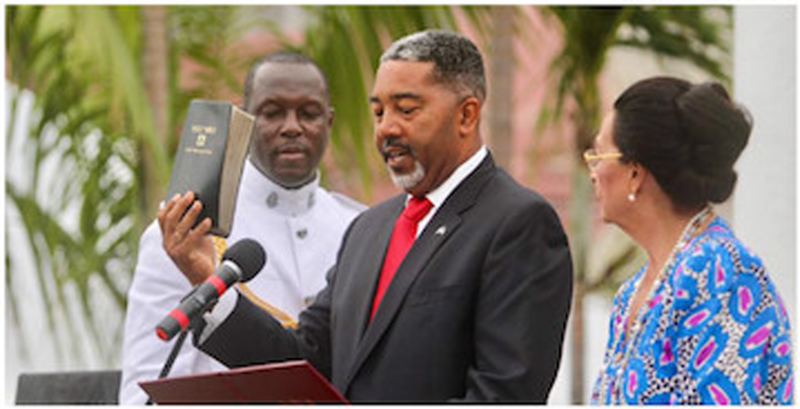 He took the Oath of Office pledging to be a “good” and “faithful” Minister. During his campaign Campbell reminded the Bahamian Public that the FNM was responsible for major development in Carmichael and Southern Shores Area, building three schools, a clinic, library, post office and police station. He further pledged to improve and build upon the infrastructures in place, as well as to work closely with residents in resolving issues in the community.